Aperture: The aperture is the hole created in the lens that lets light through to the sensor which is measured in 'f' numbers. 'AF' Mode: Is the Auto Focus Mode. 'Av' Mode: Stands for Aperture Value, allowing the user to select the desired f-stop. 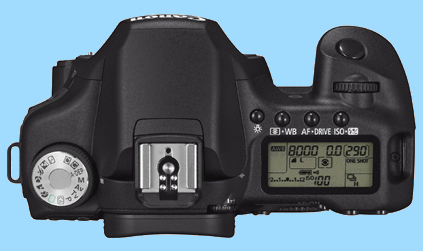 'AF' Points: Stands for Auto Focus Points. 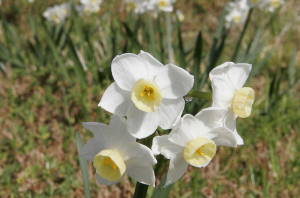 Blown Highlights: Areas of a photograph that so bright that they appear white. Bokeh: The term for the blurred background produced when using a shallow depth of field. CMOS: Stands for 'Complementary Metal Oxide Semiconductor' which is a type of sensor. 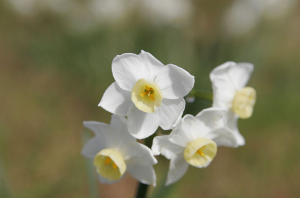 Depth of Field: The depth at which objects are in focus within the frame. DSLR: Stands for Digital Single Lens Reflex. Exposure: 'Exposure' is how much light falls on to the digital sensor. Film Grain: Film grain is the small speckles that show up on photographs. Histogram: A graph representation of exposure of the image. Hot Shoe: The term for the slot on top of the DSLR which accepts the Flash gun and other accessories. Image Sensor: The electronic chip that records the image in a digital camera. ISO: The sensitivity of the Sensor to light, also known as 'Film Speed'. Metadata: The information stored within the image such as date, time, shutter speed, aperture, ISO and file type. Metering: An automatic system for determining exposure. Purple Fringing: An unwanted purple outline around high contrast areas. Shutter Delay: The time between pressing the shutter button and the camera taking the photograph. Shutter Speed: The amount of time that the sensor is charged by the cameras electronics. 'Tv' Mode: Stands for Time Value Mode, allowing the user to select the desired shutter speed. White Balance: The camera reviews, assesses and compensates for changes in colour variations ensuring the most true-to-life colours are obtained. 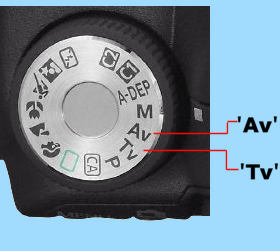 'Av' stands for "Aperture Value" which allows the user to select the f-stop (aperture) of the lens with the camera then selecting the corresponding shutter speed. A small f-stop actually opens the lens wider and a large f-stop closes the lens. The quality of the lens will dictate the f-stops that can be used, the better the lens the lower the f-stop. If the f-stop is set at the lowest possible setting for the lens this will give a shallow depth of field resulting in the object being in focus and the background blurred. If the f-stop is set higher this will give a deeper focus resulting in more of the image in focus. The larger the f-stop used the less light that is available to the camera, so it is important to monitor the shutter speed ensuring it isn't too slow to allow the camera to be hand held. Different lenses behave in different ways so it is important to practice different settings with each lens so that you get used to its characteristics allowing you to obtain your desired effect. 'Tv' stands for "Time Value" which allows the user to set the shutter speed with the camera selecting the appropriate f-stop for correct exposure. This is the best mode to select for photgraphing 'action' shots when you need to keep the shutter speed high. 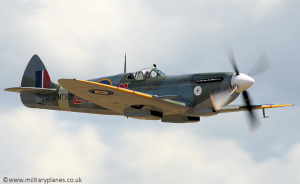 When taking photographs of airborne aircraft, jets should be photographed around 1/1000th of a second shutter speed and propeller aircraft around 1/320th of a second to show 'prop blur'. of a second to show 'Prop Blur'. If conditions are overcast and you can't achieve a very high 'Shutter Speed' then increase the 'ISO speed'. It is also a good idea to make sure the aircraft fills the frame so that the aircraft is well exposed and uses maximum resolution of the sensor. The aperture within a lens is controlled by the iris and is measured in f-stops. The f-stops available depend upon the lens but typical f-stops may vary from f/4 (wide open) to say f/22 (a small aperture). The 'Exposure' is how much light falls on to the digital sensor. This is determined by the 'Shutter Speed' - how long the shutter stays open, and the 'Aperture' - which is a multi-bladed iris diaphragm in the lens which can be opened up or closed down to restrict the amount of light reaching the digital sensor. The 'Shutter Speed' and 'Aperture' together determine the exposure so it is possible to have a fast shutter speed combined with a wide aperture or a slow shutter speed combined with a small aperture to give the same exposure. Your camera should be equipped with an in-built 'Meter'. The 'Metering' System will automatically work out the correct 'Exposure' by taking an average of all the tones in the complete image. 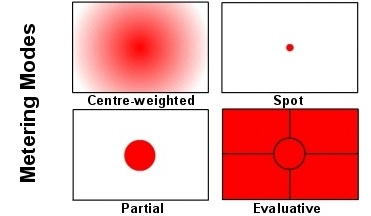 Some cameras also have additional Metering Modes such as 'Centre-weighted' and 'Spot-Metering'. These modes work out the 'Exposure' by averaging the tones in only part of the image, usually the centre. When taking photos of an aircraft against a white/grey sky it is a good idea to meter from just the centre of the image so that the camera exposes the aircraft properly. The 'ISO' on a digital camera is the light sensitivity of the camera's image sensor. This is called the Sensor Speed or sometimes the Film Speed. This means that if you use a higher 'ISO' then you will be able to expose the image correctly with a higher 'Shutter speed' and/or smaller 'Aperture' which is useful on an overcast day. Unfortunately, the higher you set the 'ISO' then the more grainy/noisy the resulting image will be. A low 'ISO' speed would be used in bright sunny weather (e.g. ISO 100) and a higher 'ISO' speed would be used in overcast/darker conditions (e.g. ISO 200, ISO 400, or even ISO 800). When you take photos of aircraft against a white/grey sky then the camera's metering system can under-expose the actual aircraft even when the 'Metering Mode' is set to 'Partial metering'. This is because the camera's in-built 'Metering System' is calibrated to a so-called middle grey colour which is mid-way between black and white and reflects 18% of the incoming light. When it takes an average of all the tones in the image and sees a large expanse of white sky then the actual aircraft becomes under-exposed. To compensate for this you need to increase the 'Exposure Compensation' on the camera. You can usually increase it at 1/3 stop increments until you get the desired results. On a digital SLR you can take a photo and look at the LCD screen to see if it looks exposed correctly or better still by examining the 'Histogram' of the photo. Be aware that a slightly underexposed image is preferable to an overexposed image as an underexposed image can sometimes be rescued with a bit of post-processing while an overexposed image is usually beyond repair. Viewing a 'Histogram' after you take your photograph is a good way to see if the 'Exposure' is correct rather than just looking at the LCD display on the back of the camera which is quite often difficult to see outside in sunny weather. 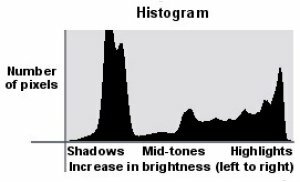 The 'Histogram' is a graph showing how the levels of brightness are distributed in the image which can give you a good idea if it is under or overexposed. The horizontal axis of the 'Histogram' represents the brightness, with shadows on the left, mid-tones in the middle, and highlights on the right. The vertical axis of the 'Histogram' represents the amount of pixels at that level of brightness. This means that if the graph is bunched up to the left of the 'Histogram' then the image is most likely underexposed or if the graph is bunched up to the right of the 'Histogram' then the image is most likely overexposed. If the graph is in the middle of the 'Histogram' and looks like a mountain then the image may well be 'Exposed' correctly. Obviously this all depends on the subject that you are shooting and an aircraft surrounded by a large expanse of white/grey sky would show the graph more to the right of the 'Histogram'. Generally when shooting an aircraft against a bright cloudy sky then the 'Histogram' will show a peak on the graph to the right which is the sky and a smaller peak on the graph to the left which is the aircraft. It is a good idea to make sure the small peak (aircraft) is towards the middle/left of the graph and the large peak (sky) is still within the right side of the graph so that the sky isn't blown out and retains some cloud detail. The 'AF Mode' is the Auto-Focus mode where you usually select between 'One-Shot Auto Focus', where you press the shutter button halfway and the camera will focus just once, or select 'AI Server' where you press the shutter button halfway and the camera will continuously keep focusing and setting the 'Exposure' when you move the camera. The advantage of 'One-Shot Auto Focus' is that you can press the shutter button halfway to select where you wish to focus and this will be locked so you can recompose your shot which is very useful for taking photos of static aircraft. The advantage of 'AI Server' is that when you are taking a photo of a fast moving subject such as a flying aircraft then the camera will keep re-focusing as you pan the camera and take the shot. The camera can be set so that when you hold down the shutter button fully then it will take just one shot which is useful for static aircraft or if you set the camera to 'Continuous Shooting' then when pressing the shutter button fully it will shoot continuously until you release the button. 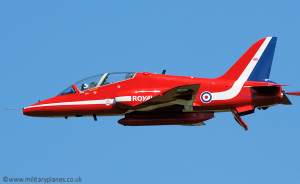 When shooting aircraft in the air it is advisable to set the camera to 'Continuous Shooting' and 'AI Server' AF mode so that you get as many photos as possible as it makes its fast pass and so that it continues to set the focus and 'Exposure' as you shoot. Although it should be said that some people prefer not to select 'Continuous Shooting' or 'machine gunning' as it is also called and prefer to take just one shot at the right time. Obviously this is just down to personal preference. If you have Auto Focus Points on your camera then you can usually have any combination of AF Points switched on but for taking photos of aircraft in the air then I prefer to just use the centre Auto Focus point.